Rider Mania, Royal Enfield’s most definitive motorcycle festival is back and it is set to get bigger and better this year with an action packed 3 days of Music, Mates and Motorcycling like never before. All roads leading to Goa will be dotted with Royal Enfield riders from across the globe as they home in to Rider Mania to join other like minded enthusiasts from 16th- 18th November. 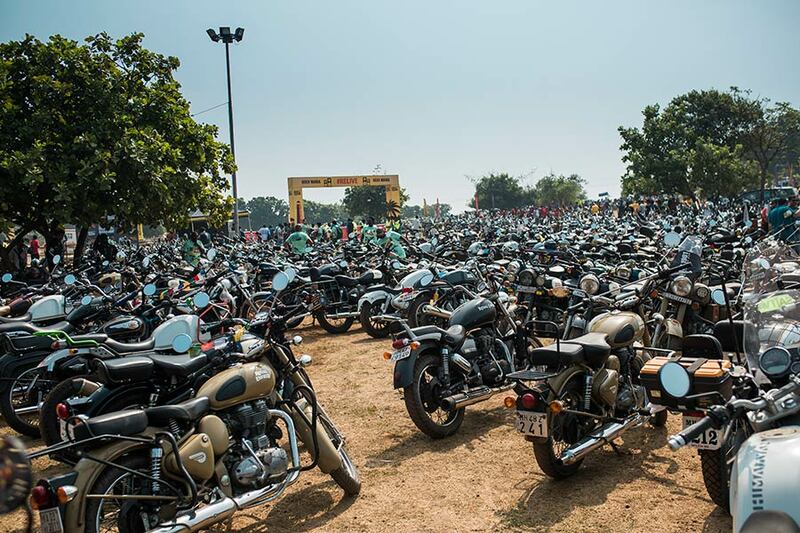 Rider Mania is the largest gathering of Royal Enfield enthusiasts in the world, it’s a melting pot of Royal Enfield owners and enthusiasts and an amalgamation of experience and youthful vigour. Many enthusiasts plan their Riding calendar around Rider Mania as its the best place to meet old friends, make new ones, share stories and experiences and plan new adventures. The three day festival has a plethora of events designed to test the riders skills with the motorcycle or off it, while having a lot of fun during the process. Participants can take part in the events or cheer their mates or just kick back and soak in the Royal Enfield vibe. The variety of artists and genres of music grows and changes every year so there’s something for everyone.